With automatic notification alerts from Zoho Desk, you can keep an eye on your customer service efforts, effortlessly. Acknowledging to customers that you've received their ticket is the first step in building trust. Put them at ease with instant notifications via email, SMS, or both, to let them know that a team member is already on their ticket and will respond soon. Working on multiple tickets at the same can get complicated. To help agents stay on track, Zoho Desk sends them automatic notifications at important stages of the process, such as when a ticket is assigned, when a response is received, or when a task is added. Regardless of how many tickets they're working on in parallel, with notifications, they'll never miss any progress on any ticket. Customize the message sent to customers via email and SMS to suit the tone and voice of your company. Keep it short and simple or make it fun and lively, it's your call! Stay updated on activities at the team and department levels. 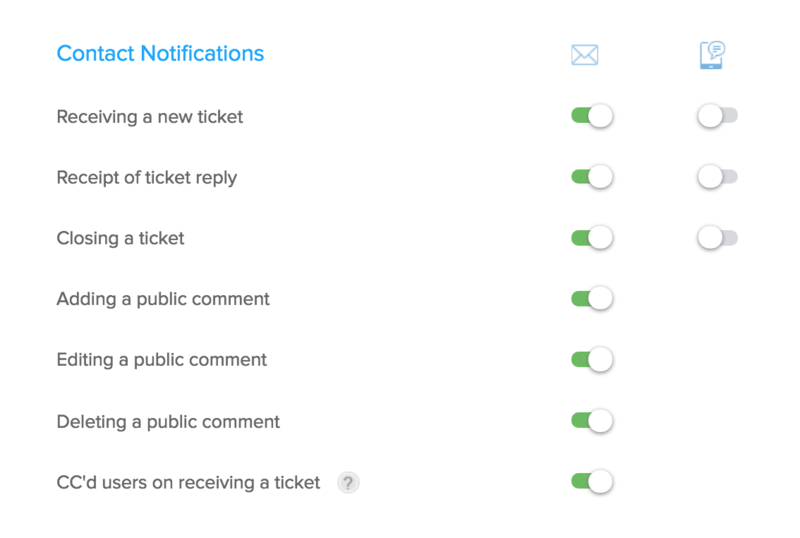 With notification rules, you can choose to get notified when a ticket is moved to your department, or when a team member adds a comment. Every agent stays updated on the team's work and there is no hassle of duplicated effort.